The assets of TRA, the Minnesota Public Employees Retirement Association (PERA), and the Minnesota State Retirement System (MSRS) are pooled and managed by investment professionals at the State Board of Investment (SBI) in accordance with Minnesota Statutes, Chapters 11A and 356A. TRA does not own any underlying assets, but instead owns a participation in the pooled Combined Funds. 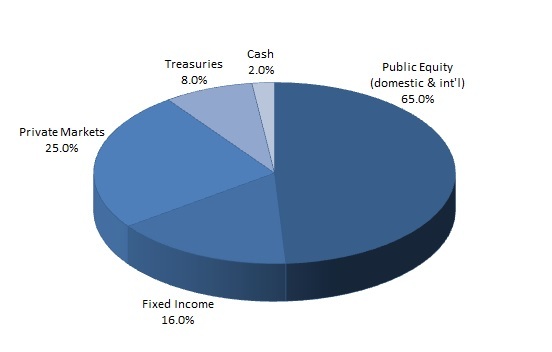 Because these assets normally accumulate for thirty to forty years, SBI’s objective is to take advantage of the long investment time horizon offered by equities and alternative assets in order to meet its actuarial return target and ensure that sufficient funds are available to finance promised benefits at the time of retirement. 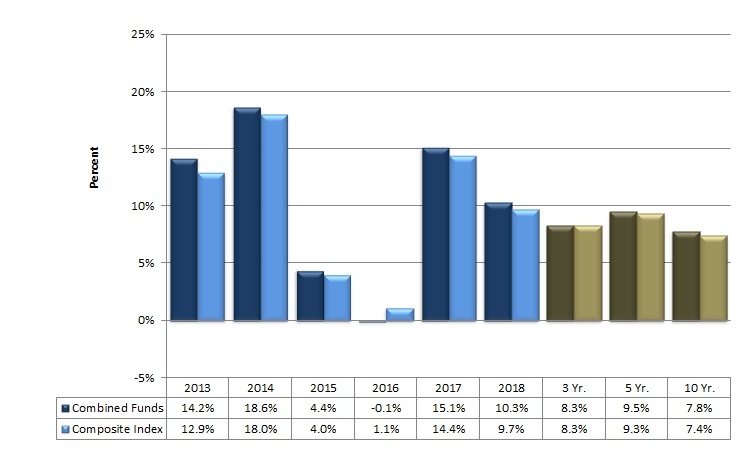 After a five year period where the 2012 Legislature lowered the actuarial return assumption from 8.5 percent to 8.0 percent, the actuarial return assumption returned to 8.5 percent as of July 1, 2017. Outperform a composite market index weighted in a manner that reflects the actual asset mix of the Combined Funds over the latest 10-year period. Based on values on June 30, 2018, the Combined Funds returned 4.6 percentage points above the CPI over the last 20 years and returned 0.4 percentage point above the composite index over the past 10 years. Investment returns ranked in the 10th percentile over the past five years and in the 19th percentile over the past 10 years, compared to similar funds in the Trust Universe Comparison Service. Refer to the Minnesota State Board of Investment website for investment details. Refer to the TRA CAFR, Investment section, for details.